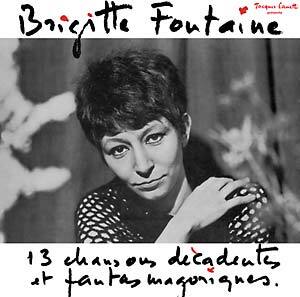 Jacques Canetti Productions presents Brigitte Fontaine's 1966 debut album 13 Chansons Décadentes et Fantasmagoriques, reissued on vinyl as part of a series of albums highlighting the work of French talent agent and producer Jacques Canetti. 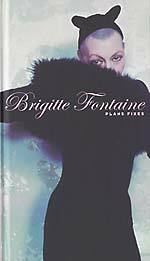 In his lifelong dedication to chanson, Canetti supported and developed the careers of a dizzying array of artists: Édith Piaf, Jacques Brel, Serge Gainsbourg, Boris Vian, Georges Brassens, Serge Reggiani, Léo Ferré, and Jeanne Moreau are among the most notable. 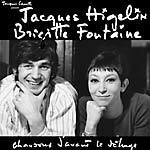 The storied recording career of Brigitte Fontaine began on Disques Jacques Canetti with its release of 13 Chansons Décadentes et Fantasmagoriques in 1966. 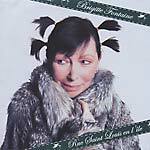 In a debut that signaled the arrival of an original talent, Fontaine's 13 original compositions blend with Jimmy Walter's orchestral arrangements to create a sound somewhat more akin to modern chanson than that of Fontaine's later output. 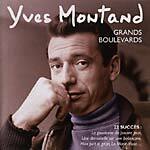 Remastered from the original tapes. 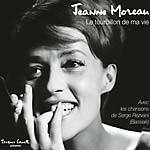 Housed in a gatefold jacket with original artwork.